Everyone wants to be happy, stay fit and be healthy – even at work! This has been our driving motivation since the launch of our flagship event, the groundbreaking Happiness & Its Causes conference in 2005. The understanding we have garnered over the last fourteen years in the psychology and physiology of human happiness and wellbeing is now being applied to health and wellness in the workplace. Workplace Wellness Summit & Expo was conceived to help workplaces meet the health and mental wellbeing challenges of 21st century business. The Expo connects businesses looking for workplace wellness solutions, whether it be office fit-out, fitness, medical, training or incentives, with a growing community of suppliers in this space. Visitors can browse the show floor and participate in a unique skills development initiative, Workplace Wellness University. It’s all free. The Summit is the place where the C-suite convenes to explore best-in-class workplace wellness solutions from top health and wellbeing experts from Australia and overseas. When/Where Will the Workplace Wellness Summit be held? The Workplace Wellness Summit will be held in the Cockle Bay Room, International Convention Centre Sydney, June 24 – 25 2019. When/Where Will the Workplace Wellness Expo be held? The Workplace Wellness Expo will be held in The Gallery, International Convention Centre Sydney, June 24 – 25 2019. 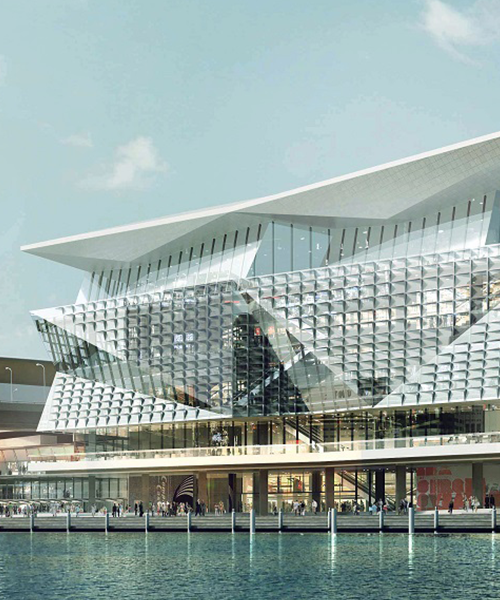 ICC Sydney has multiple public access points with step-free access to every entertainment, exhibition and summit venue. For more public transport information, please click here. The Lido Group is offering special accommodation rates for Workplace Wellness Summit delegates. View a list of available hotels here. What Time Will The Summit Start And Finish? Please allow plenty of time prior to the start of the summit for registration (Day 1). The Pre-Summit Masterclass runs 09:30 – 16:30 on Sunday 23 June 2019. What Time Will Registration Be Open? Yes, morning tea, afternoon tea and buffet lunch are included in the summit fee. VI Conferences is not a Registered Training Organisation; however, delegates are still able to claim Professional Development Points through their relevant professional organisations by attending the main 2 day summit as well as the Pre-Summit workshop. Workplace Wellness Summit & Expo would not be possible without the invaluable work of volunteers. We are always in need of personable, friendly and of course, happy volunteers to assist on this incredible event. If you are interested in volunteering, please register your interest here and we will contact you once we start our recruitment process in March 2019. You will receive a link to your ticket for the Workplace Wellness Summit in your automated ‘Completed Event Registration’ email as soon as you complete your registration. Please make sure that you bring the most up to date ticket to the summit so that it may be exchanged for your delegate name badge at the registration desk. You can bring a printed ticket or a digital version on your phone/tablet. An automated ‘Completed Event Registration’ email is sent out to you as soon as you complete your registration. This email has links to your tickets, your invoice/receipt and details of how to login to your registration if you need to make changes. You will receive a link to your invoice/receipt for the Workplace Wellness Summit in your automated ‘Completed Event Registration’ email as soon as you complete your registration. When you register online, you can select to pay via credit card. We accept Visa, Mastercard and AMEX. If you would like to pay via EFT, please call (02) 8719 5118 to process the payment. Can I Buy A One-Day Ticket For The Summit? You can make changes by logging on to you registration. Your username is your email address and you can create a password by clicking the Forgot or don’t have a password? Do I need to register for the Workplace Wellness Expo? The workplace Wellness Expo is a free event however, you will need to register online and bring your ticket to gain direct entrance into the expo. If you have a ticket for The Workplace Wellness Summit, there is no need to register as your ticket also gives you entrance into the Expo. I have a ticket to Workplace Wellness Summit, can I attend some of the Happiness & Its Cause conference sessions? The Workplace Wellness Summit and The Happiness & Its Causes conference are co-located events. However, you will not be able to enter the Happiness & Its Causes auditorium with your Workplace Wellness Summit ticket.